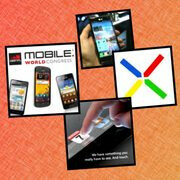 In case you didn't know, this small show called Mobile World Congress took place in Barcelona this week. Oh, did we say small? Well, it was more like an event of epic proportions with new smartphones and tablets being announced, as well as cool technologies and software being shown off. So yeah, MWC 2012 was by far the highlight of the week, and it definitely brought us plenty of stories that you shouldn't have missed. In fact, you can check out at all our MWC 2012 coverage by following the links we have provided below. Furthermore, we have posted a number of stories that may not be related to MWC, but are still worth checking out. Quad-core 1.5 GHz Galaxy S3 with full HD screen coming in July? Sprint to pick up HTC One X as the EVO HD LTE? Could Huawei become the next HTC? I love Windows too, but your narrow mind is just stupid. what are women??? and how much do I have to pay to get one??? woman is a complicated thing. in for some people its a toy, free, cheap, costly, all prices, who love to play with it... and for some people, its a part of hearts ! a symbol of love, a very precious thing...hidden in pieces of cloth ! you must be some non-english guy. If you mean; someone who wasn't born in England by "non-english", then yeah! But my english is far way better than you. and for the link, I just wanted to point out you stupidity. AHAHAHAHAHAHAHA!! You wished! Well, better luck next time. and it's By The Way, for someone with 140+ IQ, you're somewhat stupid. i dont wish. i know. AHAHAHAHAHAHA nice one! Are you a clown or something? But I guess it's time for you to WAKE UP! Freak! Are you really stupid or what? First, you told me to "go to sleep" assuming I wasn't sleeping. Now you're calling me "sleeper". Make up your mind, dude! Seriously, I would never put my life in your hands even if you're the last "doctor" on earth! come down popy, i got a pill for you. http://www.phonearena.com/news/Windows-Phone-grabs-8-of-the-smartphone-market-in-Norway-taking-share-from-iOS-and-Android_id27740 take it.